These questions struck me as both an educator and a parent. 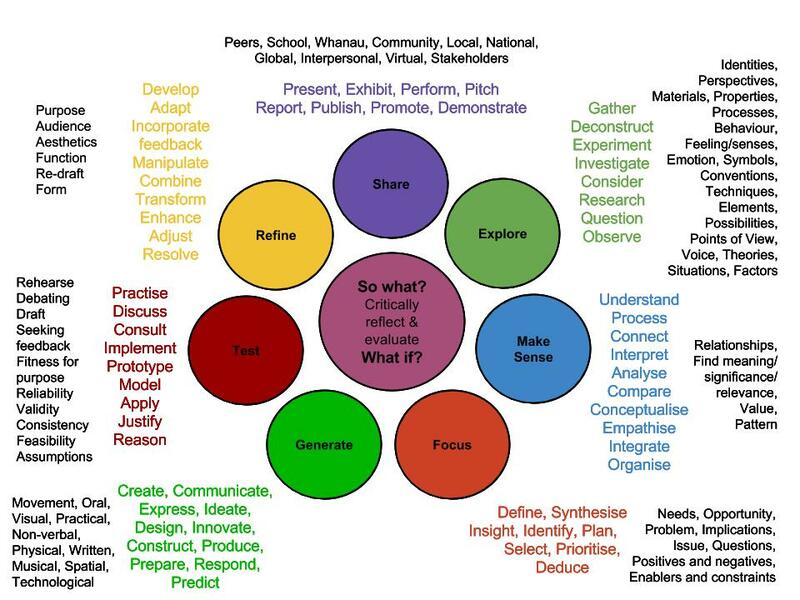 I have posted previously about how curiosity is a core educational value of mine: defining the value as “Curiosity empowers students to discover their own learning path” in this post and delving further into the value of curiosity in posts on design thinking as powerful inquiry and bringing discovery back into education. As a parent I am involved in thinking about this as my 4 year old daughter is also constantly asking questions about the world around her and the way things work. Some of the questions are entertaining, sometimes they are relentless to the point of parental frustration but always I wonder when do the questions stop? As we approach Miss 4 starting school I also wonder about whether she will have teachers that embrace or squash her questions. 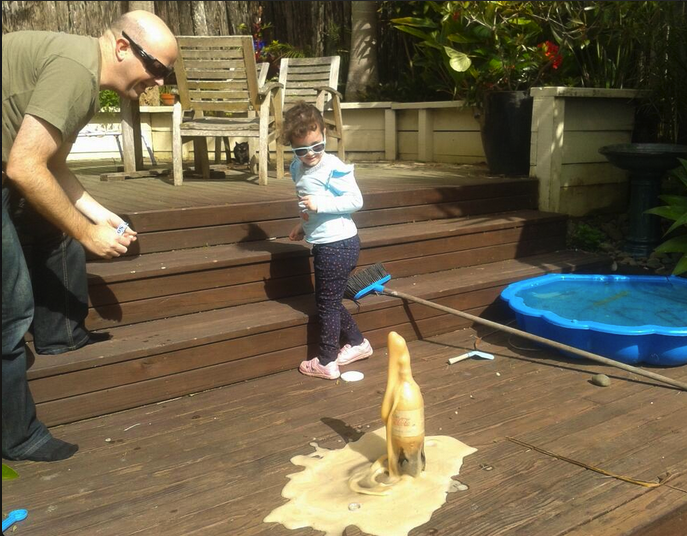 As someone with a strong belief that curiosity, discovery can lead to powerful deep learning, I want to see this curiosity continue for Miss 4 and for all children. For this to happen there has to be equal parts encouragement from home and school. If one of these starts turning off the curiosity mindset by discouraging the questioning it makes it difficult for the other to counteract the anxiety or apathy that can kick in. So, how do we encourage it? Let children see that their questions are valuable. In his book Tom frequently mentions praising George’s questions. My partner and I almost routinely now comment “That’s a good question” before answering, prompting or returning it back with a “What/why do you think it might be?” Educationally, we should be planning to include the natural questions that students come up with in our classes. Let children see you questioning things as well. They need to see that even as an adult we are unsure of things at times and this is an ok state to be in. In fact, learning wise, it’s a great state to be in. Confusion or messiness comes before clarity of understanding. Let your curiosity reignite and share the passions or questions you have with your children or students so they develop a sense of questioning as a positive thing to do. Search out opportunities to be curious together When Miss 4 came home last year interested in Science all of a sudden we spent that weekend playing with different science experiments: Magic Wands (milk, food colouring and a cotton bud dipped in detergent) Volcanoes (baking soda and vinegar + addition of food colouring for cool variations of lava) and the one I had always wanted to try Diet Coke and Mentos (as seen below). I have also shared my new hobby of Geocaching with Alana, when doing this together it has morphed into doing a treasure hunt! Another great way to be curious together is the awesomeness of Mission Explore. They create missions (usually aimed at children) to creatively explore various things and places. Their website – http://www.missionexplore.net/ – allows you to search for your area of interest and keep track of the badges you have earned from your exploring. Their Mission: Explore Food book is currently free on Kindle and iBooks and well worth downloading. So, what do I plan to do from here on? As a parent, I am going to take more notice of Miss 4’s questions (and inspired by Tom I might even start recording them somewhere – a new blog to start perhaps?) even in those times that I am busy working, cooking, driving etc. Also we will keep working on her resilience because already we notice her changing behaviours in different situations. Hopefully we can instil a strong sense of self worth so that she continues to be confident in asking her questions. I also continue working on Guerrilla Geography explorations. This year’s Guerrilla Geography Project on the Misplaced offers huge creative potential for students to question the world around them and I look forward to what they and others from around the world achieve. But, most of all, I will listen to students questions and work out how I can help them to explore the world around them further. For more resources and ideas on Curiosity, Tom and his colleagues at No Tosh have put together a great collection on their website. Thank you Tom for the inspiration to start the year that reading your book has provided. This entry was posted in Uncategorized and tagged children, creativity, curiosity, design thinking, education, guerrilla geography, inquiry, learning, mission: explore, natural curiosity, parent, parenting, questioning, resilience, students, Tom Barrett by stevemouldey. Bookmark the permalink. I love your posts! I was also a high school teacher (math) and now a mom of a curious 4 year old. I love the freedom in our family dynamics to focus on questions he brings up and explore answers and related topics until he moves on to something else. In the classroom I always struggled with the race against the clock and felt like i lost a lot of golden learning opportunities. I’m glad to hear though that you’re bringing this enthusiasm to the classroom!